A lack of visibility into network traffic is causing headaches for many businesses, according to new research released today. A survey of 2,700 IT managers in midsized organizations sponsored by Sophos, called The Dirty Secrets of Network Firewalls, shows almost half of network traffic is going unidentified. That figure shoots up to 70 percent for almost a quarter of businesses questioned. This presents a significant opportunity for the channel, says Jonathan Bartholomew, UK channel director at Sophos. 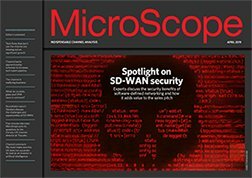 “With so many organisations still not understanding what technologies are needed to protect against exploits and ransomware, channel partners have a significant opportunity to improve their customers’ protection with minimal impact, and grow endpoint revenue opportunities,” he tells Microscope. On average, 45 percent of network traffic goes unidentified, says the research, leading to “multiple areas of concern” for IT managers. Eighty-four percent say they are worried about security, followed by concerns about employee productivity and their legal liability or compliance due to potentially illegal or inappropriate content. The report places the blame on ineffective firewalls, which it says are costing customers “time and money”, noting that a quarter of respondents claim to suffer a new infection every working day of the month. On average, the survey says it takes 3.3 hours to identify, isolate, and remediate infected computers – working out as seven working days per month, with larger enterprises spending two working weeks on remediation. Of those questioned, 85 percent want their firewall to deliver better visibility. “[The report highlights] the need for a next-generation firewall that solves the biggest pain point in network security, in addition helping customers improve security without scaling costs or resource,” says Bartholomew.